C-store247 accepts credit, debit, mobile, and reload-able NFC Xcard payments. Optional payment methods include fingerprint and facial recognition. C- store247 uses cloud-based apps to provide mobile and remote management of your fixtures. This allows you to view detailed employee activity and live inventory. Customer transaction activity is allows you to charge and refund purchases directly through the web app. The smart fixture will send email alerts for unauthorised access, temperature changes, system failure, and more. If cooler temperature rises above desired threshold the system will not open the door to consumers. C-store247 offers extensive reports including customisable sales reports, charts, product analysis, and more. C-store247 provides live inventory reports showing: product, prices, and quantities by shelf. Waste reports and pick list can also be generated, detailing exactly what items and what quantities are needed for restocking. C- store247 smart fixture allows you to sell a wide variety of products such as fresh, healthy, gourmet foods. 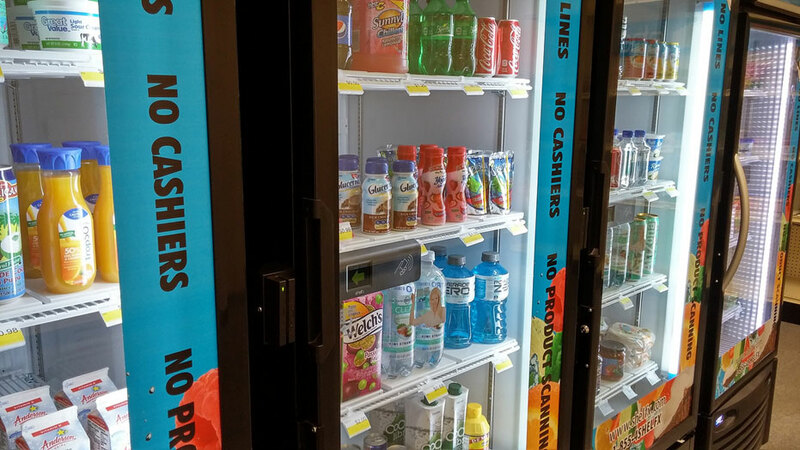 C-store247 smart fixtures can accommodate non-refrigerated items with dual temperature control. C-store247 offers a wide variety of promotional features and customisable discounts including: BOGO, combo meals, “Happy Hours” to encourage the sale of perishable items before exceeding freshness codes. Employee meal benefits can also be linked to Xcards. C-store247 provides a revolutionary retailing platform to match your unique brand, creating unprecedented demand for your products. 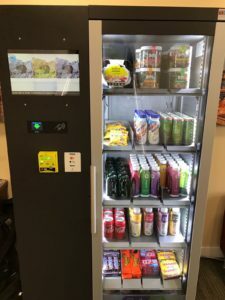 C-store247 smart fixture allow you to sell a virtually variety of products, including fresh, healthy, and gourmet options. With C-store247, you can bring your products to traditionally underserved markets such as schools, offices, gyms, hospitals and more. C-store247 provides an extensive variety of marketing and sales tools such as customisable discounts, BOGO, combo meals, “Happy Hours”, and employee meal benefits. C-store247 system provides comprehensive sales reports, product analysis, customer buying trends, and more.